Nearly 100 years in the making and it's finally here, with lots of art to boot. 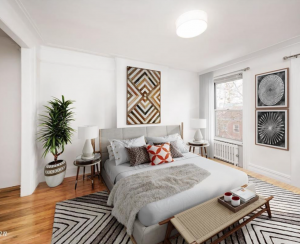 Depending on how far east you live on the Upper East Side, the arrival of the Second Avenue subway line and its long-running construction has either been a nuisance, a full-on assault to the senses (namely hearing and sight), or a punchline that has run its course. But as of New Year's Day, at least in this early stage, it is also now a delight. 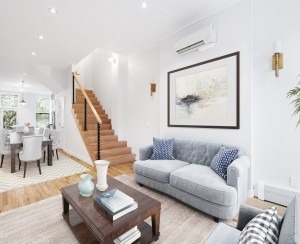 After many delays—and about 100 years of being in the works—the Q train extension on Second Avenue has opened, and the overwhelming response amongst all Yorkville residents is full-on glee. I'm one of the early fans. 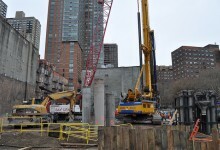 Those of us who live east of Second Avenue and have long dreamed about not having to schlep to and from Lexington to take the packed-to-the-gills 6 train were rather skeptical that the project would open in time for 2017. But open it did, and a quick trip on the brand new Q extension from 86th to 96th Street—the new stops are 72, 86th, and 96th avenues—proves that it was entirely worth the wait. Upon entry into the station at 83rd and Second Avenue (the 86th Street station, technically), I was gobsmacked by just how clean and brand-spanking new everything feels—for now, at least. If you've ever ridden the Metro in Washington DC or any of Europe's clean and well-run transit systems, you'll recognize the futuristic look, which is decidedly not MTA-style. As soon as you walk in, you see one of the station's signature mosaic pieces of art (shown below). That's one of the most appealing features about these new stations: There's artwork everywhere. 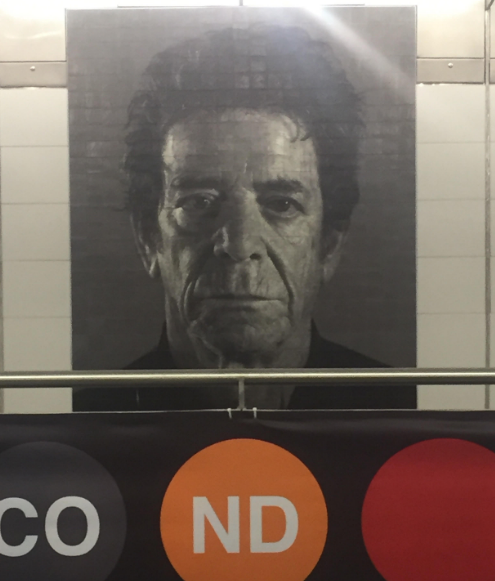 At 86th Street, there are portrait mosaics by Chuck Close (who has 12 pieces on display), including Lou Reed, Philip Glass, and the artist himself. On the walls of the 72nd Street station, Brazilian-born artist Vik Muniz has enshrined a variety of New Yorkers in a mosaic series dubbed “Perfect Strangers," and at 96th Street, Sarah Sze's “Blueprint for a Landscape” includes swirling images of birds, trees, and scaffolding on over 4,000 porcelain tiles. With this extension, the Q now runs from 96th Street and Second Avenue to Coney Island. For now, the three new uptown stations are only open from 6 am to 10 pm, but will be open 24 hours starting January 9. As a practical, lifelong New Yorker, I don't expect the Q extension to be all rainbows and unicorns. I'm legitimately nervous that the far east side's newfound convenience, and the myriad restaurants and bars that will pop up as a result, will translate into much higher rents (people are predicting that already) and apartment sales prices. 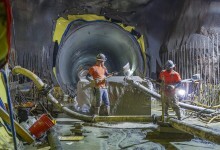 But for now I'm just going to focus on how cool it is to see a job well done by MTA workers who braved long hours–especially in recent weeks—to make it a reality. 2016 was a tough year for many, and the line's debut starts 2017 off on a better note. If this project is any indication, things are looking up already.